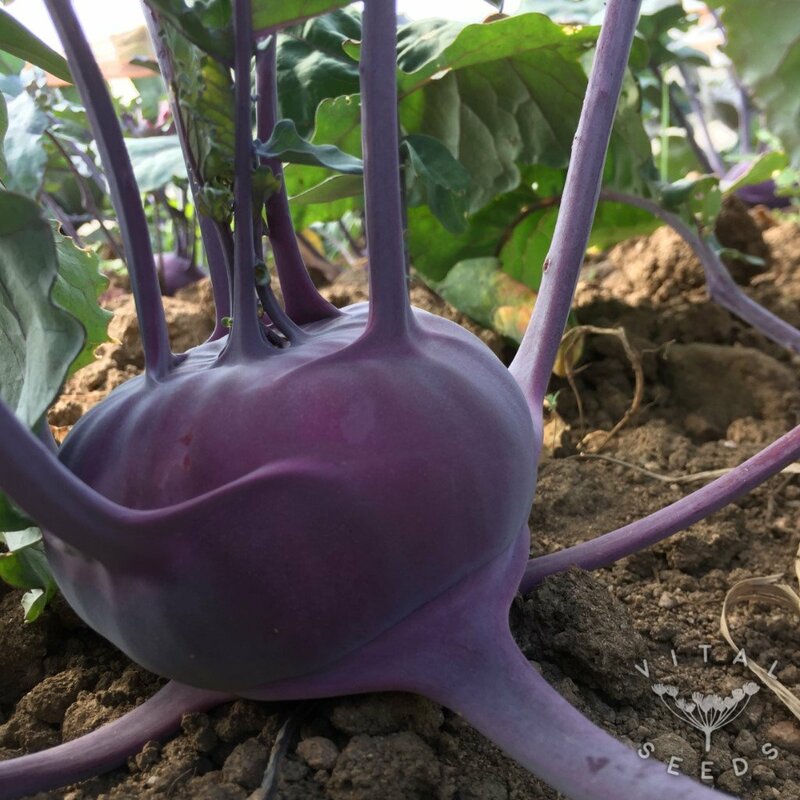 A very attractive purple heritage variety, fast growing and well suited to early and late plantings due to its cold hardiness. Azur Star is certainly our shining star for early and late season crops. It grows fast and consistently and is ready to harvest after 8-12 weeks. Although sometimes considered a root vegetable, kohlrabi is actually the swollen stem of the plant. The whole plant can be eaten, the large leaves can be cooked like kale and smaller leaves make a pretty and very tasty addition to salads. The stem can be cooked in various ways, steamed, stir fried, baked etc, but to be honest we think it tastes better raw. Eaten raw it is similar to apple in taste and texture, but with a slightly nuttier flavour. This variety is best harvested when tennis ball-sized as it can become woody when left to grow much larger.